Apart from having access to thousands of blockbuster movies and popular TV shows, Amazon DRM-laden WMV Video has won over users with its cheap rental and purchase rates. As an Amazon Instant Video User or Subscriber, you may collected plenty of WMV videos downloaded from Amazon. 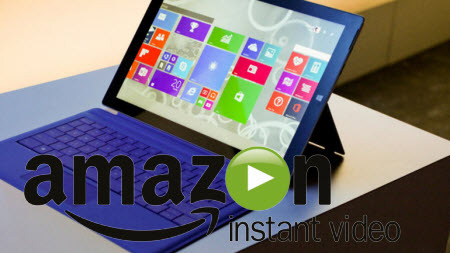 Do you want to play these Amazon Instant WMV Video contents on your sweet Surface Pro 3? But at this time, you may be puzzled by the error message appearing again and again. That’s because this kind of WMV videos from Amazon are all DRM protected which can only be played on certain devices like Amazon Kindle Fire, iPad, iPhone and iPod Touch, Surface Pro tablets are not included. Never mind, to watch Amazon Instant Video on Surface Pro 3, you need to strip DRM and convert Amazon WMV video to Surface Pro 3 supported format, say H.264 .mp4 video. To get the work done, the key point is to select a useful DRM video converter. Now just follow the guide below to download your purchased Amazon movies and TV shows to computer and add to Surface Pro 3. Sign into your account if prompted. Click the video you want to watch. Choose Download to see a list of download locations and available copies of the video. If you select Download for offline viewing, choose a download location from the pull-down menu and click Download Now. 1. Make sure that your computer is authorized for source videos, that is to say you can play the Amazon WMV movies using Windows Media Player. 3. It would take as long as the source movie length for the whole Amazon WMV video to Surface Pro conversion process since Pavtube ChewTune records source DRM videos in 1:1 video and audio quality. Step 1. 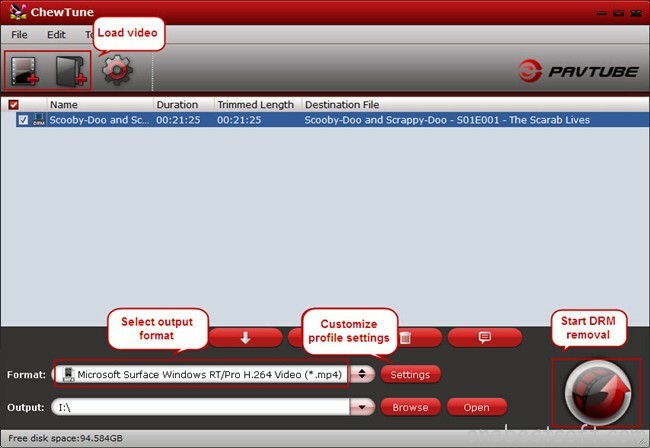 Run Pavtube DRM Media Removal tool, drag and drop the source video from local computer to ChewTune. Or hit the “Add Video” or “Add from folder” button to import your Amazon movies. Step 2. 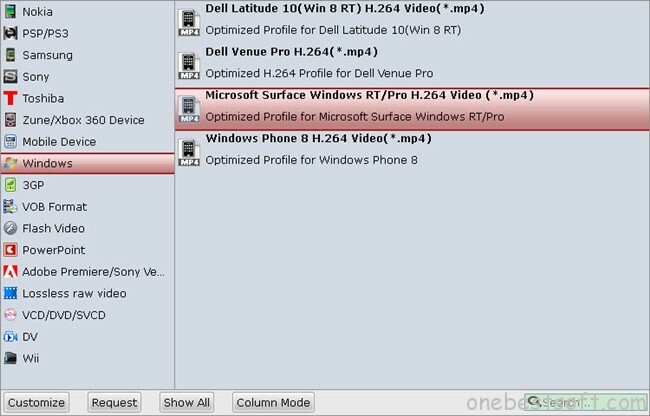 From “Format” drop-down list, choose “Windows > Microsoft Surface Windows RT/Pro H.264 Video (*.mp4)” as the output format. Step 3. If you like, you can enter “Settings” option to adjust profile parameters, such as video codec, bitrate, frame rate, size, etc to get better video and audio quality on Surface Pro tablet. Step 4. Click the big “Convert” button on software main UI to start Amazon WMV video to Surface Pro conversion. When conversion completes, click the “Open” icon to locate the DRM-free movies, and transfer converted movies from PC to Surface Pro. You are ready to watch Amazon WMV movies on Samsung Surface Pro 3 the nest time you wait for a bus, travel, or go camping trip.